Total Force sells regulation guidons and custom military guidons. Our regulation guidons are made to IAW AR 840-10 and other applicable (navy, marine corps, air force, and coast guard) service regulations. They are constructed of heavy duty American-made 200 denier nylon fabric, triple-stitched at all stress points, reinforced with additional material at the swallow-tails center and the pole hem, as well as heavy duty strips provided to securely attach the guidon to the guidon staff. Logo, letters and number stitches are interlocked to prevent unraveling. Guidons represent the unit and its commanding officer. The guidon carrier for a unit is known as a "guidon bearer" or "guide". Soldiers count it an honor to be the guidon carrier for their unit. In drills and ceremonies, the guidon and commander are always in front of their units formation. The units look to the guidon as a great source of pride. There are many military traditions developed around the guidon. It is considered a dishoner if any sort of disgrace is show toward the guidon. 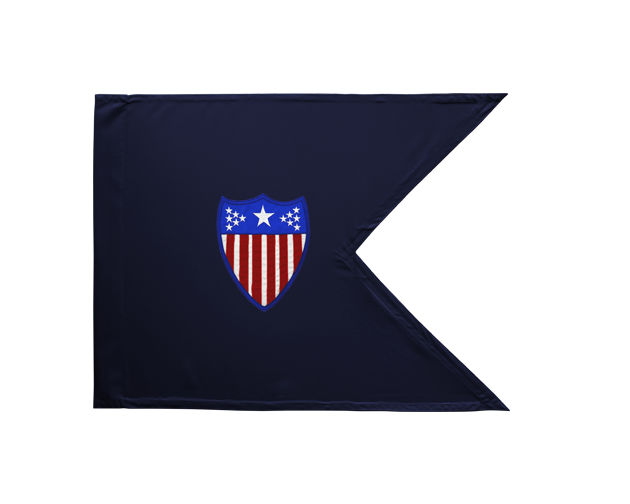 Units may attempt to steal one anothers guidon to demoralize or antagonize the unit. If the guidon has been take away from or dropped by the carrier, some form of punshment will be given.